Samsung Electronics announced its financial results for the fourth quarter and the fiscal year of 2018. The revenue and profit of 4Q18 declined due to global market uncertainty but Samsung still reached its annual goal in fiscal 2018. For 4Q18, Samsung posted a KRW 59.27 trillion (US$ 53.22 billion) quarterly revenue, which decreased by 10 percent YoY. The quarterly operating profit was KRW 10.8 trillion (US$9.7 billion), with an on-year decline of 29 percent. The yearly revenue for fiscal 2018 was KRW 243.77 trillion (US$ 218.9 billion) and operating profit came to KRW 58.89 trillion (US$ 52.88 billion), up by 1.74 percent and 9.77 percent respectively. The Korean giant said that it has achieved many technology breakthroughs and innovation including the foldable phone and the newly revealed Micro LED TVs. In 2019, the company is expecting that demands for the innovative technologies will secure its profitability. 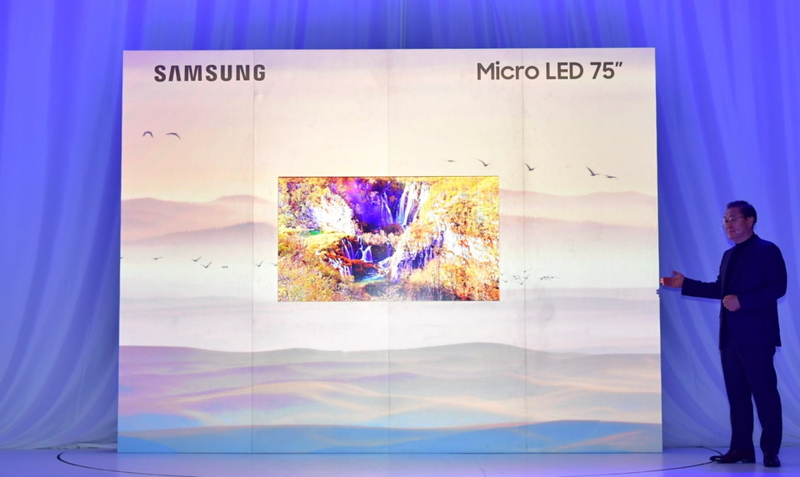 Facing the lukewarm smartphone market, Samsung aims to extend innovative OLED applications and increase the portion of OLED panels for smartphones through differentiated features. Meanwhile, the company is targeting the premium TV market with its wide range TV portfolio including QLED 8K TVs, super-large-screen TVs, and Micro LED products.